This photo came from theprovince.com just days after THE WHITE HOUSE began using Hootsuite for its tweeting efforts. It was a great morning when I interviewed Ryan. 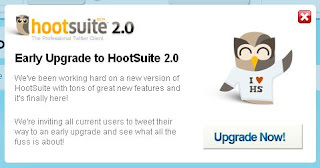 First, Hootsuite 2.0 comes out and it is a serious upgrade from 1.0. HootSuite was one of the great apps that made me excited about Twitter as my tweets about The Pirate Bay trial resulted in 100s of clicks. Then I interview the man behind the hoots Ryan Holmes, founder and CEO of Invoke Media, the Vancouver-based high-tech firm that created HootSuite, Tagga Media and Memelabs for starters. The company’s evolution has been very organic involving customer driven product development. What follows is the raw transcribed interview. 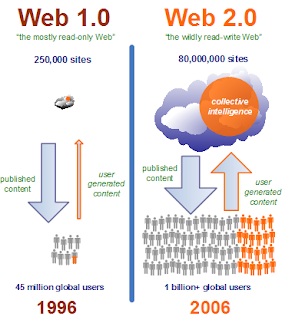 What inspired you to join the web 2.0 industry and start your business? I got into web in ’99 working at a dot com company. I was excited about the new space and as things evolved interesting things really began happening. I was consulting by 2000 and not long after that Invoke was born out of that consulting. In the beginning our focus was on creating custom solutions for our clients. Can you tell us about some earlier less successful projects for Invoke? We were working on a project called Eatsolution.com, an easy meal prep solution, participants would go to a central location and select their meals and then take them home for cooking at a later date. While we were rolling the product out the bottom fell out of the industry. It imploded. It didn’t continue. The food prep industry had a lot of buzz but really lacked repeat business. When did memelabs come into being and how was it marketed so well? We launched Memelabs almost four years ago. It evolved as we started building out a custom applications and tools specifically for clients. Scalability. With memelabs video was getting hot and YouTube was really taking off so we wanted to integrate video into our offerings. What are your favourite tools right now outside of your company’s offerings? What is the one piece of technology you can’t live without ? FML is great for fun. What would you like to see more of on the internet that you currently aren’t seeing? I would like to see more evolution in the real time space and more integration with mobile technologies. The iPhone has changed the game in mobile and Twitter has changed the game in terms of real time communication. I have been reading a bit about Tagga Media, which was recently featured in Business in Vancouver Magazine. What is it? It’s a platform for agencies and brands to create mobile campaigns and mobile websites. It handles all the pain around setup. 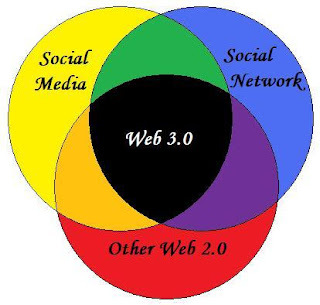 What does web 3.0 mean to you? What is the next wave of internet trends? I'll leave that for Wikipedia to define. There may never be a true defining line between the two. It started as an internal tool working with memelabs contesting and campaigns for clients. We were using Facebook and Twitter to optimize these client's offerings. Twitter didn’t support multiple accounts and scheduling so we built it. BrightKit was the original name for Hootsuite. What caused the name change and who was the genius who came up with HootSuite? Owls are so wise. We have always had the owl as our mascot/icon but brightkite had issues with brightkit. They complained so we decided to be the bigger person and cloud sourced, via a $500 bounty, our new name out to users. Someone came up with HootSuite and it really tied into our existing branding so we ran with it. What is the estimated current account and tweet count for Hootsuite? Account – 110,000, 60,000 messages/day, 1.8 million. Early on in Hootsuite’s evolution the inclusion of Adwords was very cool. This option is no longer supported. Was there a backlask against Hootsuite for putting ads into a URL shortener? We don’t support it anymore. There was backlash through Twitter and we were pretty responsive. Feedback was that it was a too intrusive so we responded. It only had about a 1% click through. Do you have premium accounts? What is the revenue model for Hootsuite? Not yet, our revenue model is in the works. How do you reassure customers who are concerned about privacy? All of our data is very secure, having worked with Wells Fargo and allowed them to do a code walk they were reassured. Our goal with Twitter is to create something that is as spam free as possible. Built-in spam reporting and spam flagging has been integrated. It will help keep the ecosystem cleaner. The release of Hootsuite 2.0 is very exciting. How did you select the features for the upgrade? There must have been so many choices. Will Twitter kill traditional media? It’s an evolution for traditional media. Telephones killed jobs for telegraph operators. New models get reinvented and new jobs emerge. I know lots of people in Vancouver who would love to work for Invoke? What qualities and skills are you looking for in employees? We look for passion. People who are passionate about Twitter and social media. Can you tell me about the entrepreneurial culture of Invoke? The team is a big part of the innovations we create. We were doing contesting four years ago. We are kept motivated and inspired through our work. Twitter has crossed over. Celebrity and media properties are using and they know about it’s ability. It democratizes media. Anyone can mass communicate and do it easily. What kinds of things do you do to create the culture of your company? On that note I have been told to ask you about Mustacio. Can you tell me a bit about it? Basically we grow mustaches and have a little party. We started this event 4 years ago. This year we're going to tie it into Movember. What have been the greatest challenges for you as an entrepreneur? Staffing - Losing a key team member is a killer when you are small. As you get bigger, it hurts, but not as bad because you can distribute the load. What do entrepreneurs in the Web Application and Marketing space need to know? Application Entrepreneurs - Be prepared for a long, evolving process. Applications are never complete, and there is always going to be not enough team available to get the features you want to complete finished. Marketing Entrepreneurs - As the barriers to entry are lower in most services, business marketing entrepreneurs should expect quite a bit of competition. What is your purple cow? What sets you apart? Your company seems to work very well in a B2B environment. Are your clients about new tech or are do they have to be sold? 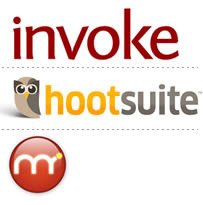 Invoke is involved in both B2B (memelabs.com and hootsuite.com) and B2C via hootsuite. Our clients/users are, for the most part, innovative brands and early adopters who are looking to differentiate themselves or get involved in high ROI products. They hear about us via referral, word of mouth, or social media. Most of our products have a viral component built-in to them and this gives us great traction. What is the most effective content you have seen on social media this year? Does Invoke have a marketing plan or are those developments organic? Most of the developments are organic in nature. Since the landscape is effectively the wild west, most marketing plans would be obsolete by the time they are completed. What advice would you give to others in a similar business space looking to grow and develop a business? Partner early. I have great partners at Invoke. The company hit its stride when we all got on board. Find a need and create a solution for it. Try to empower your fans to support your product. Make it viral. I heard Owly put Wyclef Jean in a headlock. How is that possible? 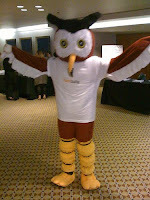 LOL... Owly is the mascot for hootsuite. He comes with us to conferences where there are usually some high level speakers. So far ow.ly has hung out with McHammer and wrestled with Wyclef Jean. Thank you very much for your time Ryan. I hope we get a chance to meet again in the future. Good luck with everything. "Constant success requires constant innovation" a motto which is second nature to Invoke Media.